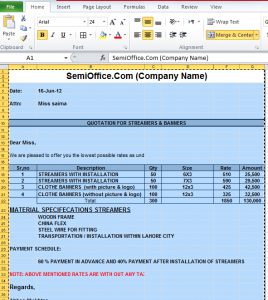 Sample quotation format and template in excel is available for free download for suppliers, shops, sellers, wholesale, merchants, traders, printers etc. 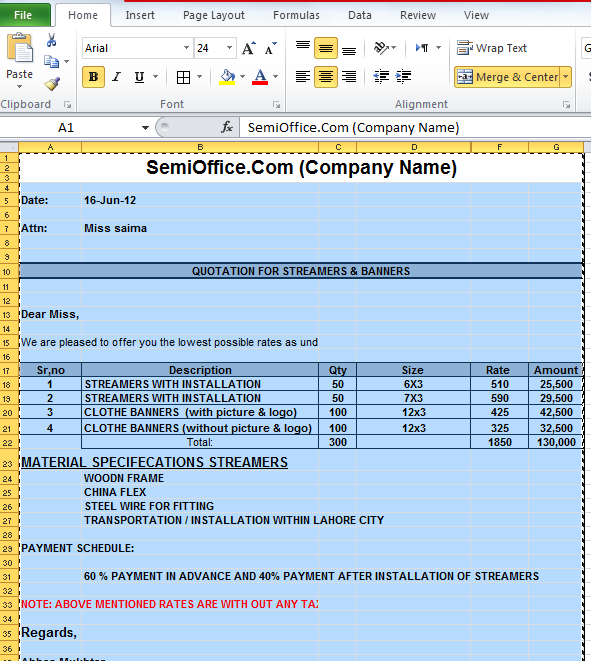 You can use this quotation for any business by putting your product details. NOTE: ABOVE MENTIONED RATES ARE WITH OUT ANY TAXES.